Welcome: How we welcome people into our school community. Welfare: How we care for the well-being of our school community. Witness: How we reflect the teachings of the Bible through the way in which we live our lives. Word: How we use the Word of God as the template for life and learning. Worship: How we confidently and enthusiastically proclaim and explore our faith. 2.1 We understand worship to be a special act or occasion whose purpose is to show reverence to God. Collective Worship involves all members of the school coming together and participating in an assembly. We expect everyone to take an active part in the assembly. 2.2 In line with the 1988 Education Reform Act, which states that Collective Worship should be ‘wholly or mainly of a broadly Christian character’, we normally base our worship on the teachings of Christ and the traditions of the Christian Church. However, we conduct our worship in a manner that is sensitive to the faiths and beliefs of all members of the school. 2.3 While most acts of worship in our school are Christian, we also hold assemblies that reflect the traditions of other religions that are represented in the school and the wider community. 3.1 We hold a daily act of Collective Worship. This is in the form of an Infant, Junior, Whole School, Class or a House assembly. 3.2 Our acts of Collective Worship are conducted in a dignified and respectful way. We tell children that Collective Worship time is a period of calm reflection. We regard it as a special time, and expect children to behave in an appropriate way. We ask them to be quiet and thoughtful, to listen carefully to the teachings, and to participate fully in prayer and hymns. We create an appropriate atmosphere by using music, candles, picture, or other objects, to focus the attention of the children. 3.3 Acts of Collective Worship are planned and led by a range of people. Wherever possible, we encourage pupils to take an active role in the planning and presentation. The Headteacher, Senior Leadership Team and members of the Pupil Chaplaincy Team all take active roles in Collective Worship at St John’s. We also invite visitors, for example from Caritas, or members of the parish, to present them. 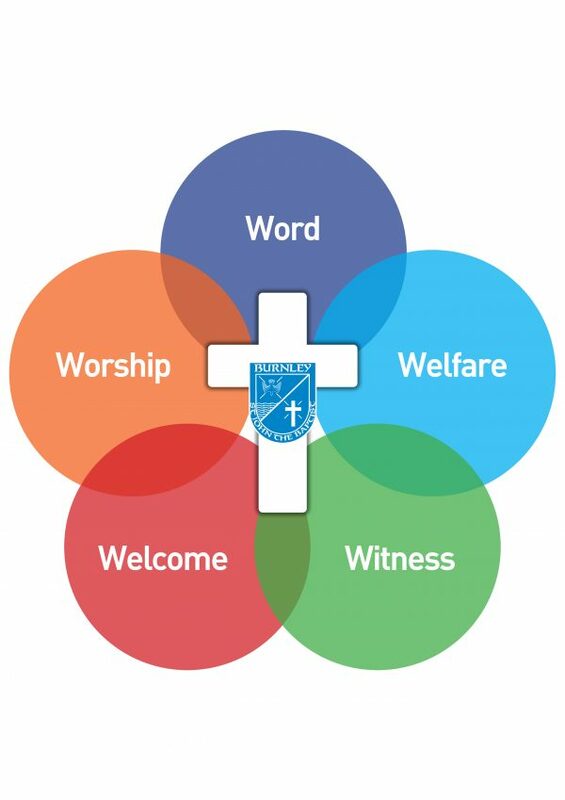 3.4 Through Collective Worship, we promote the 5 Ws. We take the themes of our Collective Worship from the traditions of the Christian faith, and we observe the festivals and mark the events of the Christian calendar. Sometimes the themes are related to topics that we teach as part of the school curriculum. We plan our Collective Worship well in advance of the day they take place and use an annual calendar. 3.5 Collective Worship plays an important part in promoting the ethos of the school, which is that all children are valued, and all achievements are recognised. St John’s RC Primary School is a successful school, and we shall continue to celebrate the successes of all our children. 3.6 Our Collective Worship reflects the achievements and learning of the children. We encourage the children to participate by showing their work to the other children, and by raising issues that they have discussed in their classes. Collective Worship provides an opportunity to reward children for their achievements both in and out of school. 3.7 Each Friday, parents are invited to attend Collective Worship. We encourage their attendance, as this promotes community spirit, and shows the school and the homes working together in support of the children’s achievements. 3.8 Our Chair of Governors and Parish Priest attend regularly and attendance by other Governors, parishioners etc is always welcome. 3.9 We have an agreed planning format for Collective Worship – see end of policy document. 4.1 We expect all children to attend Collective Worship. However, any parent can request permission for their child to be excused from religious worship, and the school will make alternative arrangements for the supervision of the child during that part of the assembly. Parents do not have to explain or give reasons for their request. This right of withdrawal complies with the 1944 Education Act, and was restated in the 1988 Education Reform Act. 5.1 Monitoring the policy and practice of Collective Worship is the role of a named school governor, who is also responsible for religious education. The governor concerned liaises with the Headteacher before reporting to the governors. 5.2 This policy will be reviewed at least every two years. First thing on a Monday morning, we start the week with Collective Worship led by the Headteacher or Deputy Headteacher. Members of the Pupil Chaplaincy Team assist. All children and staff attend so the whole community can gather together. Sharing the Gospel from the weekend, sets the tone for the week and provides a focus for the children. We have Collective Worship at the start of the day, led by the Deputy Headteacher or member of the SLT. It is usually combined with hymn practise. Members of the Pupil Chaplaincy Team assist. On Wednesday mornings, in turn, each Junior class leads Collective Worship for Key Stage 2. Sometimes, our Pupil Chaplaincy Team take the lead. Key Stage 1 gather together on Thursday mornings for Collective Worship led by our Key Stage 1 Leader, or the Pupil Chaplaincy Team. On Friday morning we have the main school assembly led by the Headteacher or member of the SLT. The classes present their assemblies on Fridays as well. Parents and friends are invited too and stay for refreshments after. At certain times of the year, we have collective worship with classes or year groups at other times. We also meet each half-term for House Worship in our houses – St Andrew, St Patrick, St George and St David. This is a special time as children of all ages sit with their siblings and worship together. Word What will we listen to? (verse from Bible, traditional prayer, own prayer etc) What do you want us to look at?